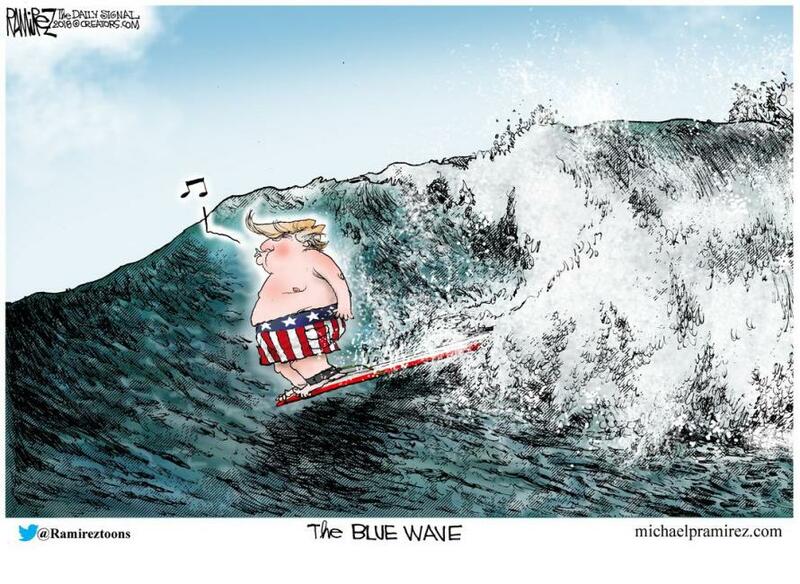 While ever-hope-filled expectations among the left are for a 'blue wave' in the Mid-term elections, we suspect things may not turn out quite as planned given the last week's "crisis". Even before President Trump had set foot in Helsinki, the left and the media were banging the drums of war against "the thug" Putin and how he would trump Trump, and once the press conference furore was over, all hell broke loose as the left-leaning world attempted to out-signal one another's virtue as to the "treasonous", "surrender" that had occurred. So much so - in fact - that the internet became 'full' of "Trump" and "Treason" chatter - more so even than when he joked in July 2016 about Russia having Hillary's missing 30,000 emails. Once again - the "Russia, Russia, Russia" cries drowned out any sane discussion of the end of cold war 2.0. 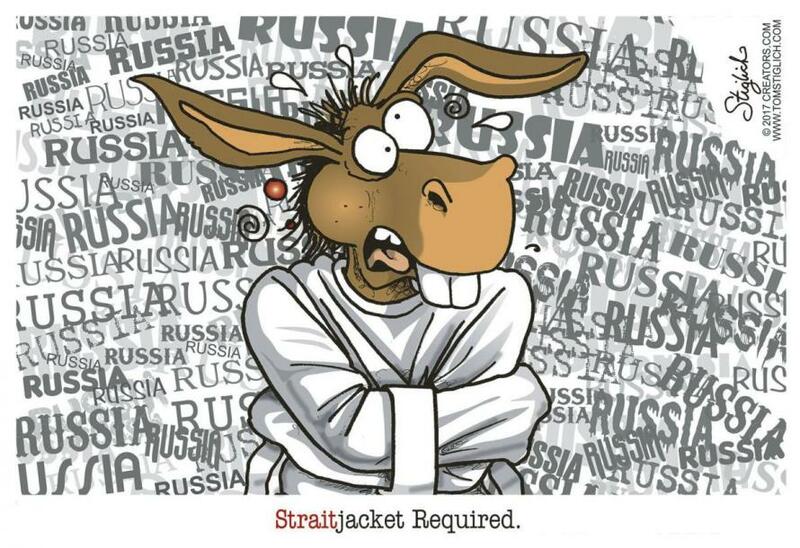 There's just one problem with the Democrats' unending focus on Russia and the media's constant collusion chatter: few Americans care, because - drumroll - they have real lives in the real economy to worry about. As the latest survey from Gallup shows: when asked what the most important problem facing the nation is, Russia did not even warrant a 1% - and worse still, it is declining in importance from there. As David Sirota noted, "Gallup recently did a poll of what Americans say is the most important problem facing the country. 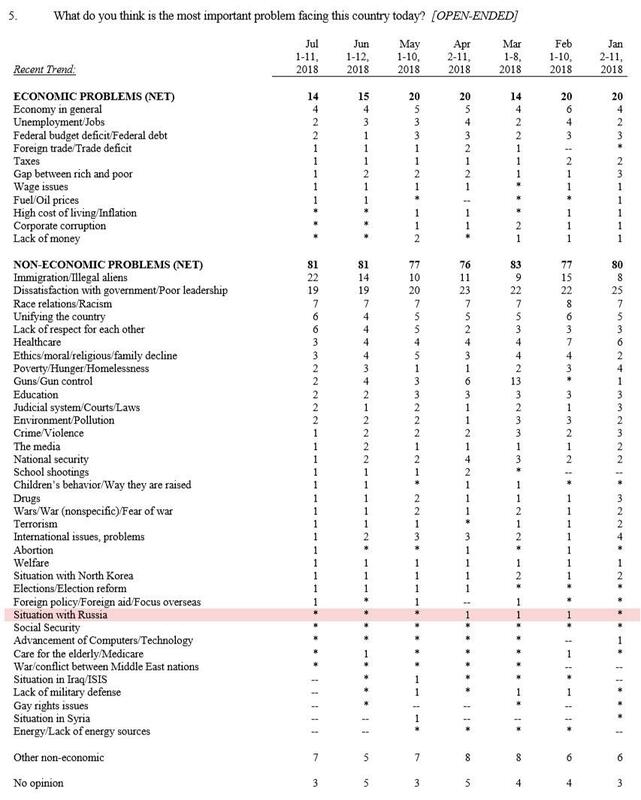 One finding: the percentage of Americans saying “Situation with Russia” is the most important problem is literally too small to represent with a number. " So with all that energy expended on pinning the Russia collusion tail on Trump's campaign donkey, let alone former FBI Director Comey's insistence that 'anyone voting Republican is anti-American', we are reminded of the blinkered view of the world so many suffer from and what Steve Bannon said yesterday at CNBC's "Delivering Alpha" conference: The Democrats abandoned the American worker. So, will The Left find policies to run on that are not "socialism"? and are not "not Trump"?